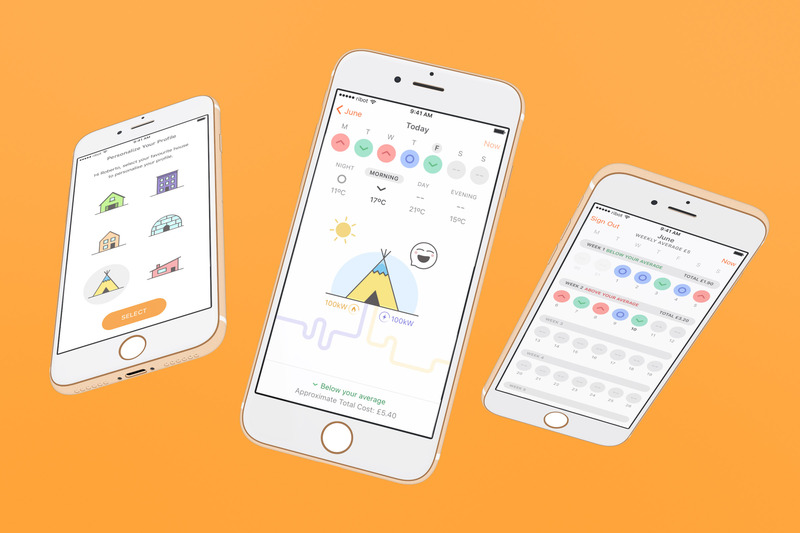 We worked together with the EDF Energy Blue Lab innovation team to design a concept that would offer customers a simple way to understand their energy usage over time. EDF Energy wanted to empower energy users to monitor and change their energy consumption as they wished. They want customers to be able manage their energy use and budget in a way and time that suits them. The Blue Lab is EDF Energy’s innovation accelerator, located in Brighton and Hove. The team has been established to help improve the lives of energy consumers by developing energy services that harness the latest technology and innovative service design. At ribot we believe in pioneering new ideas that make the world a better, simpler place to be. This was the perfect project and partnership for ribot. As a newly established innovation team, Blue Lab were looking for our team to share our working styles and approach to innovation. EDF Energy is installing energy measurement devices in homes. These devices will enable access to consumption and tariff data for the running of hot water, lighting, heating and transport via a mobile phone. The EDF Energy Blue Lab team believe there is an opportunity to present this information to customers in a simple and engaging way, using real-time data. This will enable customers to monitor and begin to understand their energy usage and the changes they can make to manage this more efficiently, if they choose to. This project needed to deliver a working prototype that offered a delightful user experience in order to engage customers. The prototype is to be tested with real users for feedback. What do energy customers want? EDF Energy customers want to know how to save money on their bills and how to plan their outgoings. Customer research has shown that customers don’t always understand their bill or how energy efficient their home is and they don’t know their carbon footprint. They may not have the time or inclination to call customer services for answers or explanations. They need to access this information quickly and simply. EDF Energy want to enable their customers to save money, make wiser decisions about energy and offer a convenient and transparent service. The approach to this was to work together with EDF Energy in sprints. We use a system of innovative thinking and we supported and guided the team through the process. We put the customer at the centre of our innovation. Our team of designers and developers worked together with the EDF Energy Blue Lab team in workshops. We encouraged empathy for the customers we were designing for, uncovering customer needs and ideating a range of possible solutions. We followed a user-centred, prototype-driven process, quickly working together with the Blue Lab team to create several possible solutions and eventually choosing one to prototype. We created a simple prototype using InVision. The process combines the best of business strategy, innovation, behavioural science and design thinking into one process. We designed using our understanding of behavioural psychology and applied these key learnings when ideating and designing the prototype. Using visual imagery to explain complex concepts helps people to understand your message. For the prototype, we used smiley and sad faces, which changed if you had above or below average energy consumption. 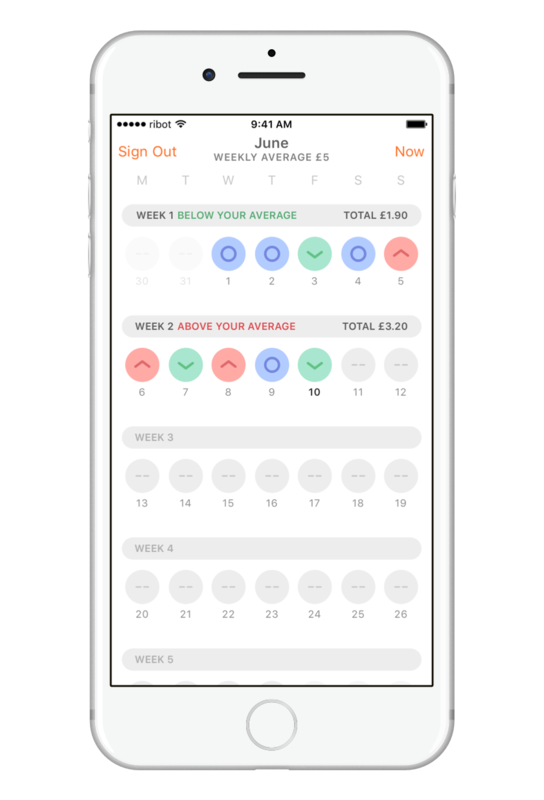 The use of colour on each day, helps customers to track how well their energy consumption is going over the week. We used the colour red to highlight higher usage and green to indicate lower than average usage. Consumers are engaged by feedback and are motivated by how their actions change results. Switching off power outlets or turning off lights could remedy a sad face, turning it to a happy face throughout the day. Customers respond well to small, unexpected, playful pleasures. 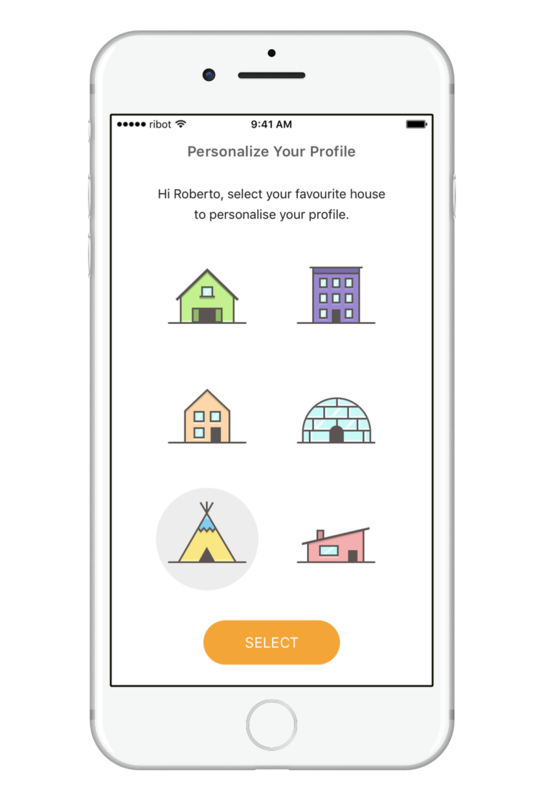 We allowed customers to personalise their home choice in the prototype with a library of different iconographic houses. As well as the colour cues and faces that changed according to energy usage, the prototype included a weekly energy report that gave positive reinforcement and feedback if customers were doing well and suggested behavioural changes if things could be improved. Our development team were able to work with an existing EDF energy Blue Lab API and build a new API around it so we could use the data in the prototype. Electricity and gas data updated within a short timeframe for the purposes of the prototype. The prototype displays average energy usage and gives the user meaningful feedback if their usage was higher or lower than the average use and shares an average cost for the day. ribot were delighted to work closely with the Blue Lab accelerator team as one team. Using our process of innovation we were able to quickly and collaboratively prototype a solution that could be tested with customers. We were able to design the prototype using learning’s from behavioural psychology to engage and motivate energy consumers. Our development team were able to work with Blue Lab to build the prototype using real live data. The Blue Lab team have a working prototype solution that they can share with the wider stakeholders in their business and directly with customers for feedback. 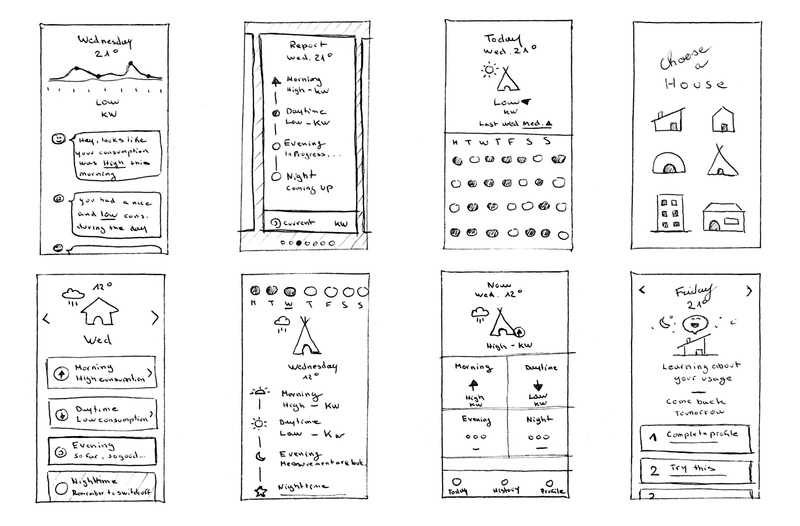 Want to know more about design sprints and prototyping?